It was quite a coincidence that after publishing my last post about Katz’s portraits ( Is this a portrait ), I should have the opportunity to see the gorgeous Mantegna – Bellini exhibition at the Gemäldegalerie in Berlin. What better way is there than to go back to the Renaissance world and to what portraits were then. 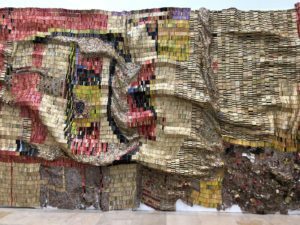 I will not try to compare both exhibitions here, although it could be an interesting post. I will instead speak of this recently opened beautiful show with the following questions in mind: how is it that such masters can learn from each other, respect each other and stand equally strong next to each other? And how by doing so can they gain a level of excellence not achievable without the other? Andrea Mantegna (1431-1506) and Giovanni Bellini (around 1435-1516) were two major painters of the Renaissance period. They became in-laws in 1453 when Mantegna married Bellini’s sister Nicolosia. Andrea Mantegna came from nearby Padua. The son of a carpenter, he became an orphan at the age of ten. He was accepted in the painting school of Francesco Scquarcione, his talent having been discovered early. Giovanni Bellini, on the other hand, came from Venice. He was the son of the famous painter Jacopo Bellini. In those days the Bellini family had a very high rank in the Venetian society, and so he grew up with little worries, following his father’s path. 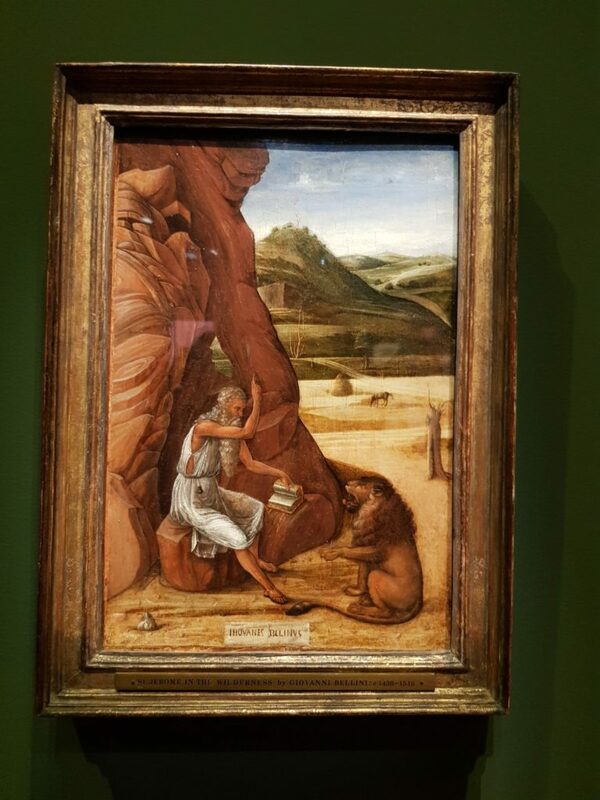 The earliest paintings these painters left us have coincidently the same subject, Saint Jerome. 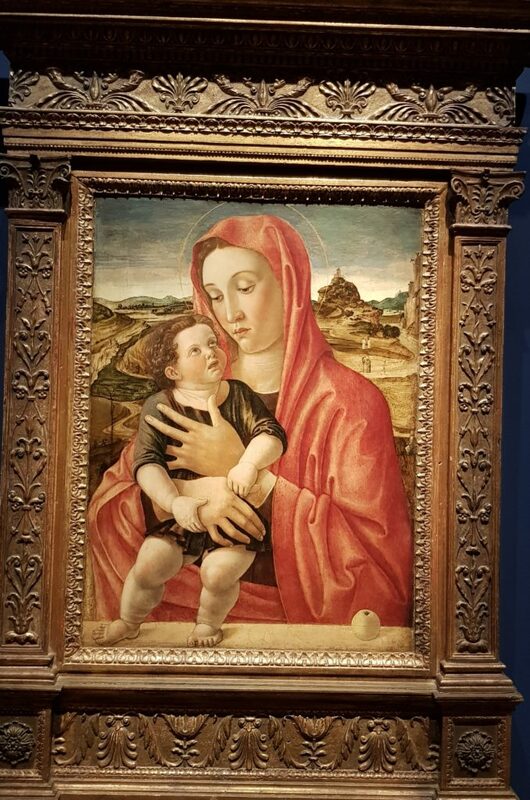 In actual fact, this exhibition is beautifully segmented in subject categories, most of which were very popular in the Renaissance Period: the Virgin with child, the portraits, the Agony in the Garden, the landscapes, the dead Christ, ancient civilisation, and so on. This makes it even more obvious to see in which manner they approached the same subject and how they influenced each other too. 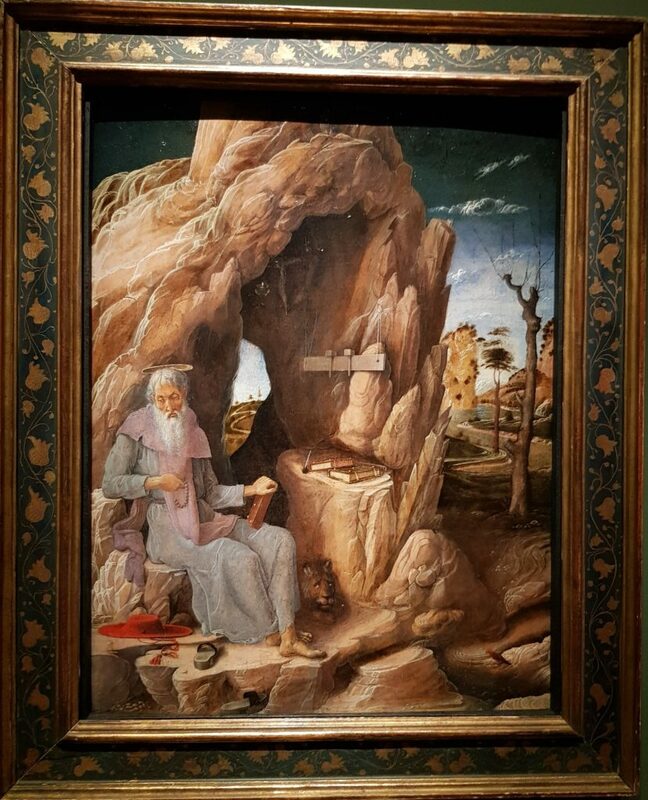 In Saint Jerome, one already notices two different approaches. The detailed composition is more prominent in the first, and in the other the landscape strikes the onlooker most. Mantegna’s portrayal was a few years earlier than Bellini’s, yet already in both, we see their own personality coming through. 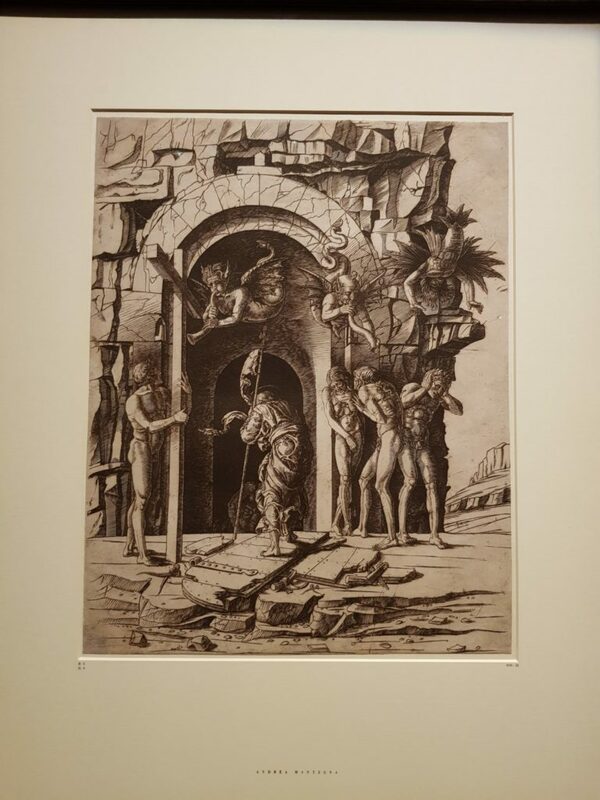 Just on the opposite side from Saint Jerome, we find a section with drawings, prints and paintings dealing with the subject of the “descent into Limbo”. This deals with the moment when Christ descends into the realm of death between his burial and his Resurrection. It is not mentioned in the Gospel but was a well-known subject in the 15th century which fascinated Mantegna. He made numerous drawings of this theme, resulting in an engraving and in paintings. 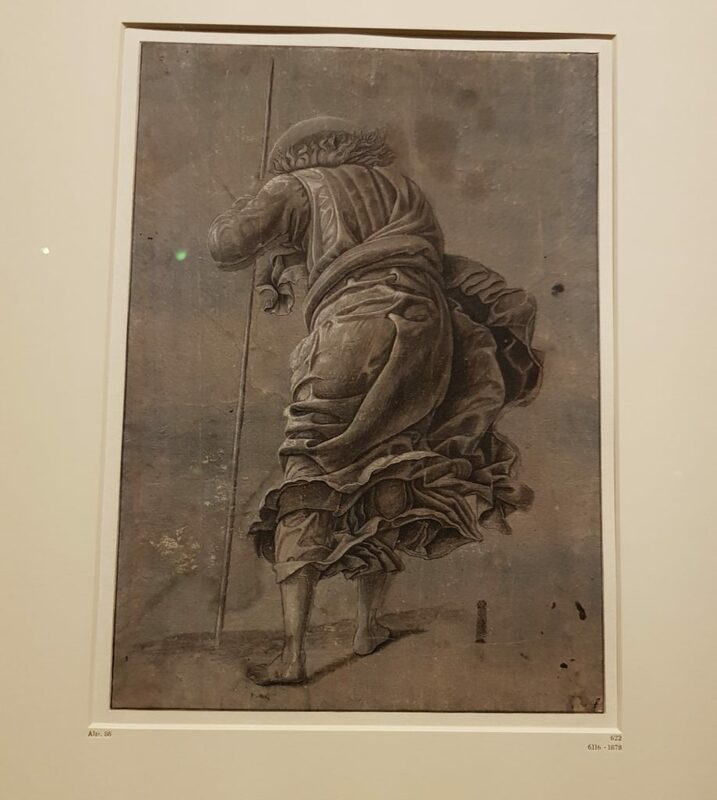 Over one of these drawings, Bellini painted his own version. 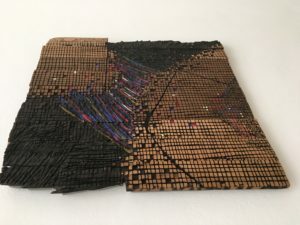 Yet even though he does so, he uses the drawing with the utmost respect and, by use of his own light and painting skills, makes it into his own. Both painters were in close contact and exchange, Bellini looking up to Mantegna as his “older” brother, even after Mantegna’s move to Mantua in 1460. 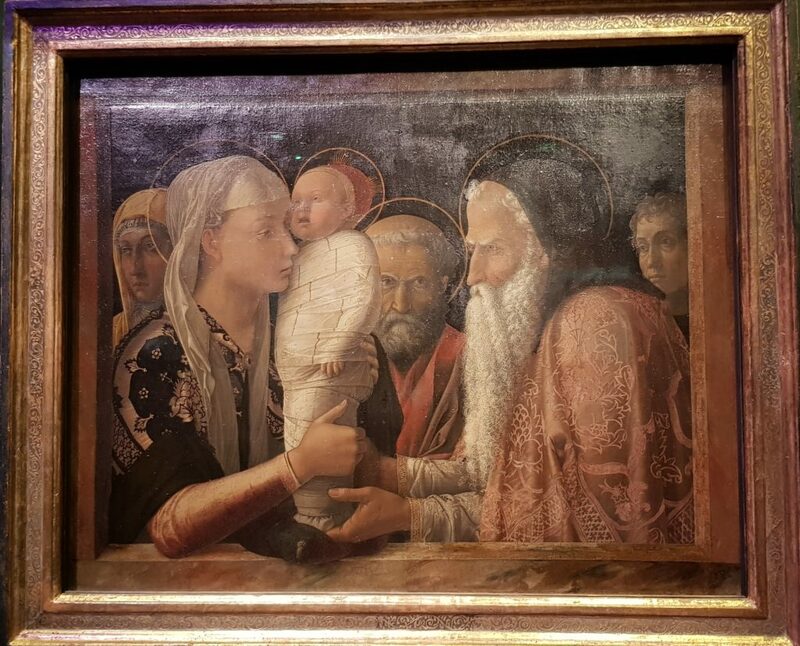 Mantegna was known to be careful with his copyright. 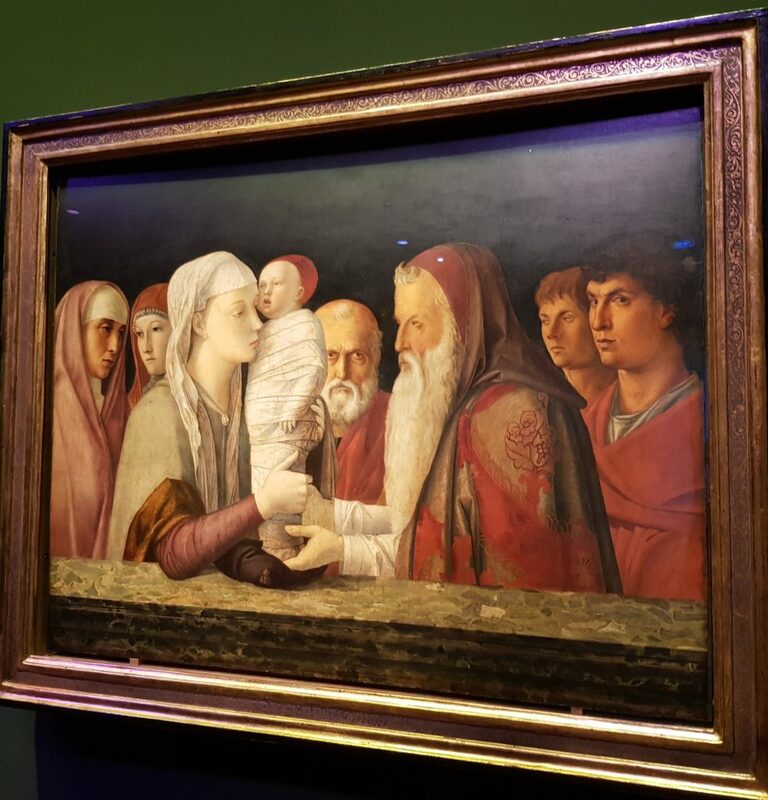 He nevertheless allowed Bellini to use his drawing, seeing this as a sign of honour and of admiration for his work. 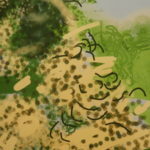 It is, in any case, a wonderful show of trust and a subtle dialogue between both painters. Another example of this is seen in “The presentation of Christ in the Temple”. 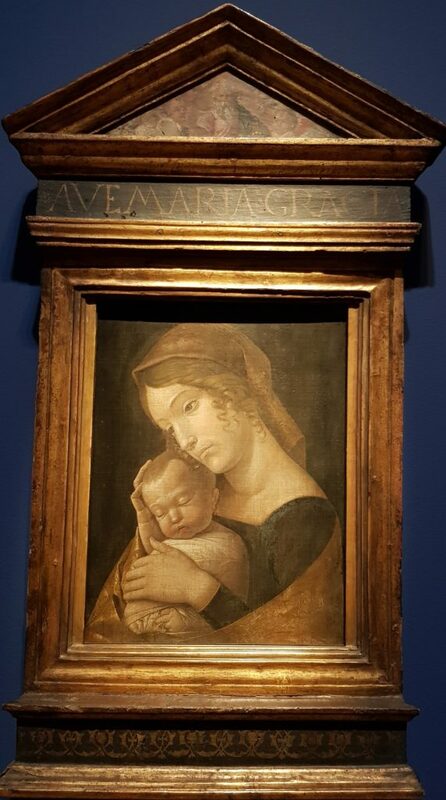 Mantegna painted his painting around 1454, probably to celebrate the birth of his first child. In this painting, the Virgin Mary together with Joseph present the baby Jesus to the wise Simeon who, upon taking the child in his hands, recognises the Messiah. Here, we also see two other figures. On the far right is a self-portrait and on the far left a portrait of his wife Nicolosia. In 1470/75 Bellini used this painting for his rendition by tracing the figures’ outlines in exactly the same manner. The painting differs in several ways though: in its colours, in the painted frame now being a parapet, and in the addition of two extra figures… possibly family members. It is thought that Bellini painted this upon the death of his father Jacopo Bellini. What a show of utter admiration this is! This dialogue also went the other way around. 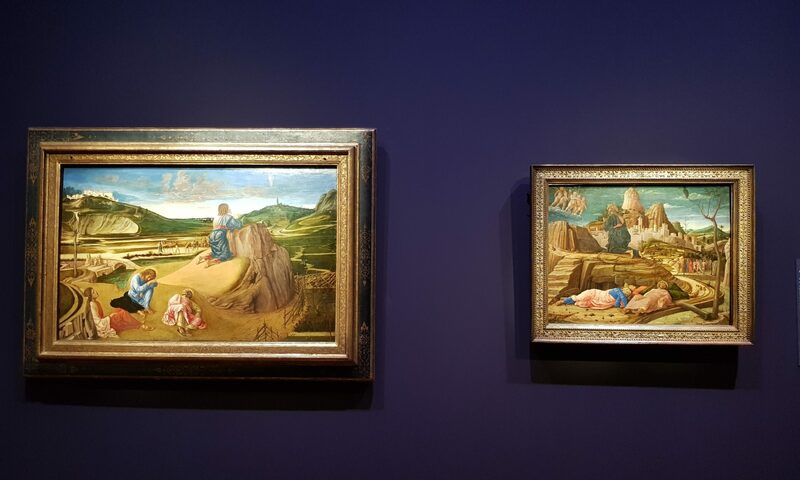 Mantegna admired Bellini’s use of light and landscape greatly. Bellini, being a master at this, could achieve a calm realism supporting the scenes he painted. A wonderful example of this is Mantegna’s rendition of the “Death of the Virgin Mary”. In this painting, he has set special attention to the view out of the window. His landscape is very much in Bellini’s style. We see what probably was the view from the castle chapel of the Gonzaga family in Mantua, where Mantegna moved in 1460 to become the court painter. In 1505, the Venetian nobleman Francesco Cornaro commissioned Mantegna a cycle depicting episodes from the second Punic War, described among others by the ancient Roman historian Livius. Mantegna was only able to finish the first painting of the cycle before his death in 1506: “ The introduction of the Cult of Cybele at Rome”. Mantegna was fascinated by ancient culture and studied it throughout his life. Bellini less so. Yet, he agreed to complete his brother-in-law’s unfinished work. 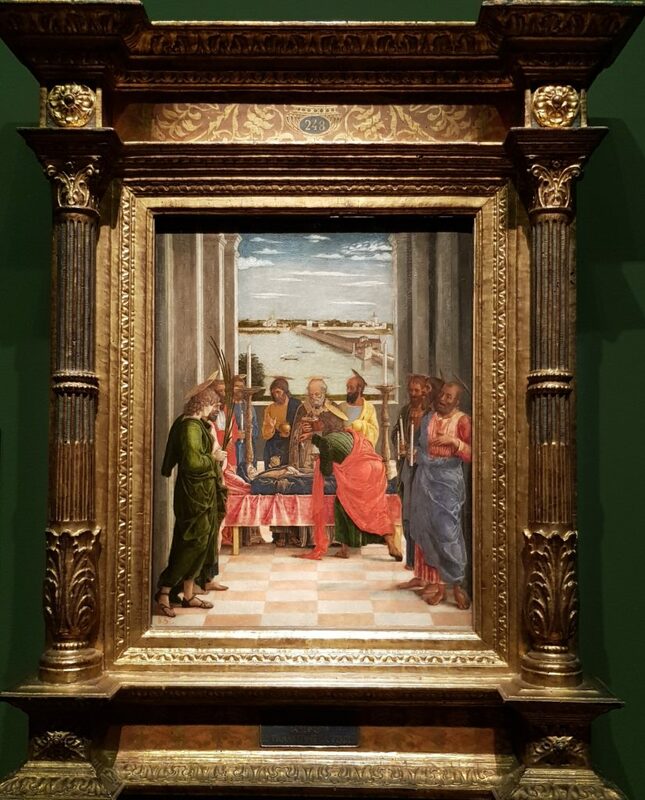 Showing his respect, he remained faithful to Mantegna’s wonderful sculptural relief painting (grisaille) and coloured marble background in his own paintings. What about the “Virgin with Child” renditions? This was an extremely popular subject in the Renaissance, each household having at least one portrayal of this subject, either painted, sculptured or printed in their home. 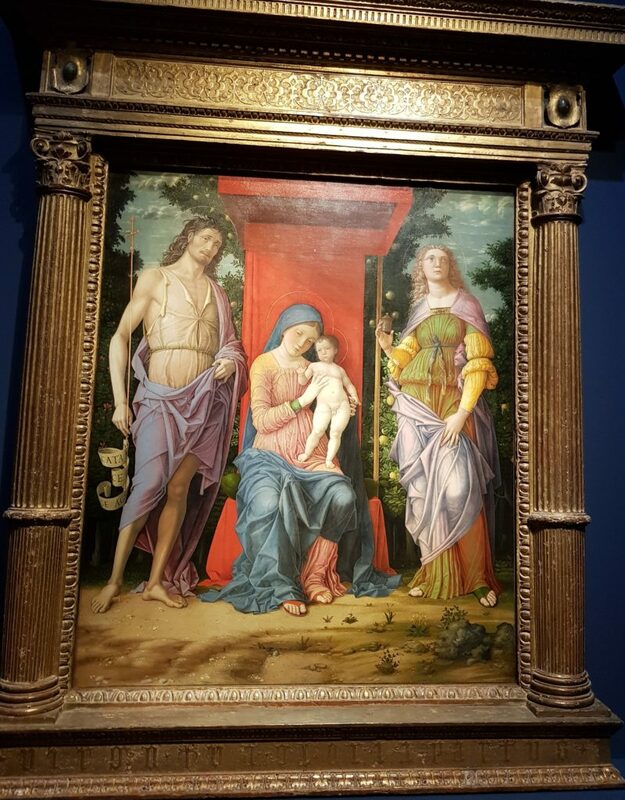 Both Mantegna and Bellini painted this theme therefore numerous times. 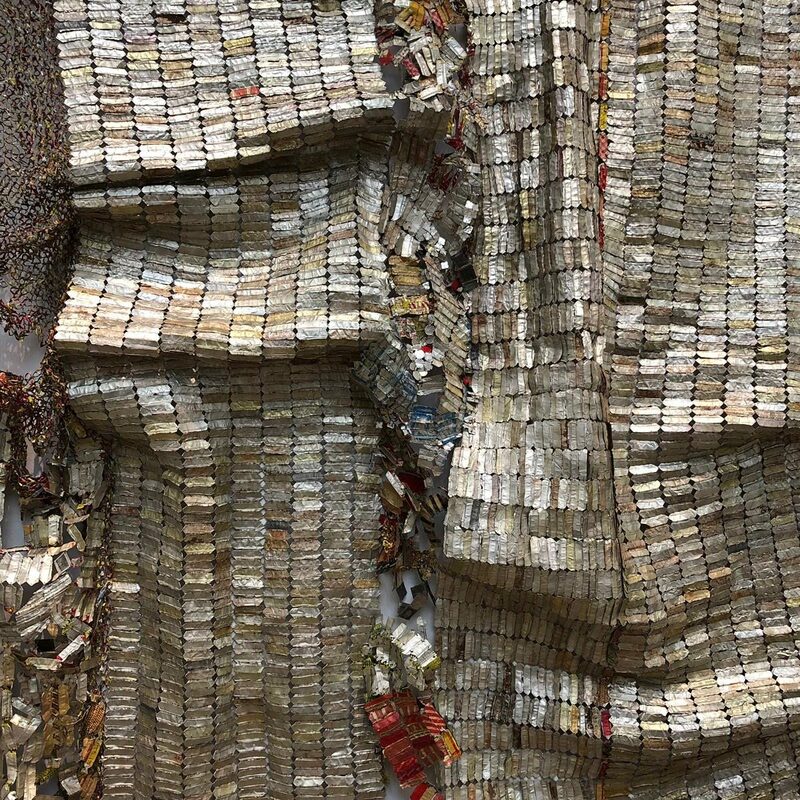 Here one can see the individuality but also the genius of both artists. 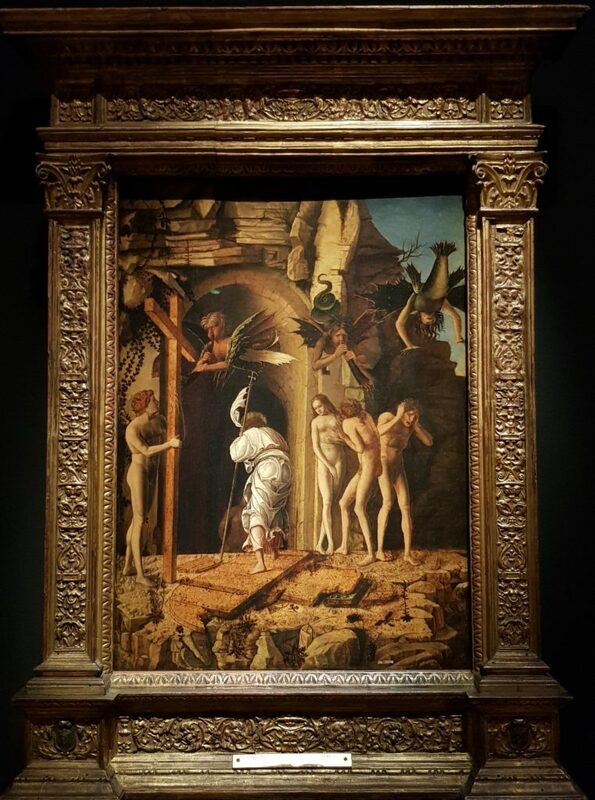 Mantegna with his incredible search for different compositions, always trying something new and Bellini sticking to classical composition, yet always vibrant and innovative through his use of light and colour. It can be said that Mantegna was more the historical and antique subject painter, whereas Bellini enjoyed staying mainly with religious themes. In 1460 Mantegna moved to Mantua becoming the court painter for the Gonzaga court. Isabella d’Este, who married Gianfrancesco II Gonzaga in 1490, commissioned both artists with a historical or ancient subject. 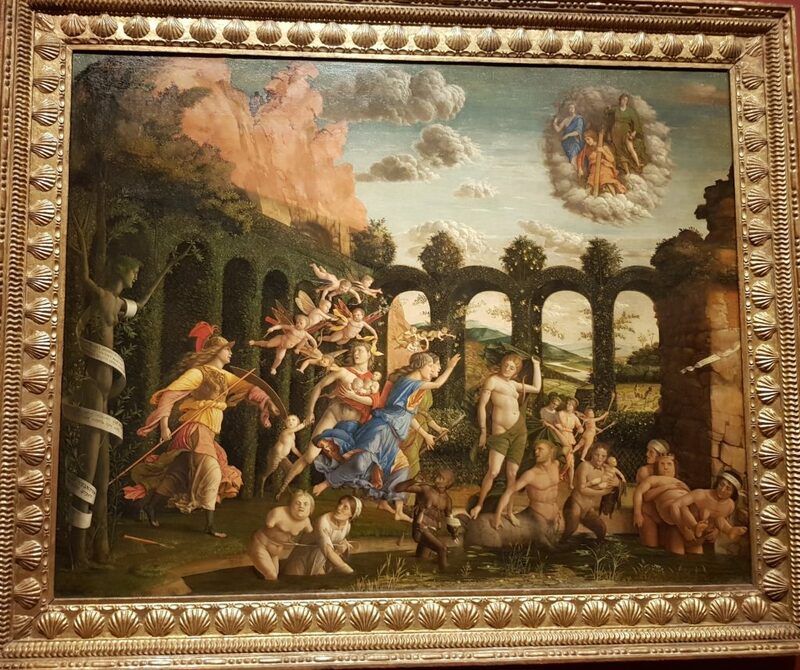 Mantegna obliged gladly, offering her “Minerva Expelling the Vices from the Garden of Virtue”. 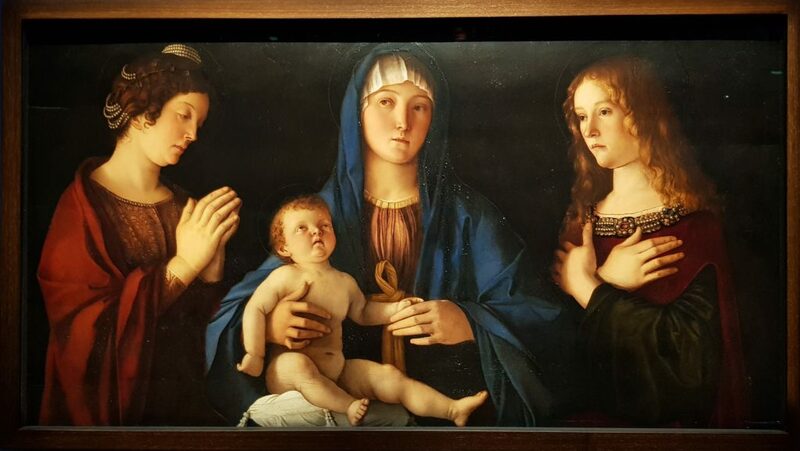 Bellini, however, refused to accept this commission, explaining that his painting couldn’t stand strong next to his brother-in-law’s masterpiece. In the end, Isabella d’Este gave in to Bellini who offered her a “Birth of Christ” instead, which she kept in her bedroom. What a wonderful exhibition this is. Not only does it remind me of humanity, of the beauty of culture, of the constant non-ending search for an ideal, but also of a never-ending wish to learn and learn and learn. It doesn’t always have to be about competition. Here are two artists, each standing with their own strengths: one incredibly detailed and a master in composition, the other gifted with his use of light and colour. Of course, their relationship can’t have just been a bed of roses, but I do feel that there must have been a huge amount of respect between them. I believe both knew that there is no “me being better than you”. It can only be about trying to grow further… and what better way is there to do that, than to give space for the other, thus allowing oneself to learn from him or her. Well yes, it wasn’t really about his thin legs, but the fact that he mentioned them in the introductory blurb made me warm to him even more. 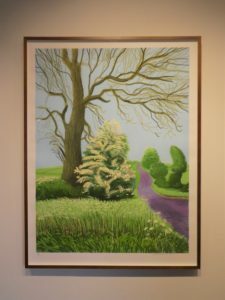 He wanted to complete an artwork every day, in the early spring of 2011, to document nature’s inevitable forward movement, and the sheer beauty of the spring in one particular lane in East Yorkshire,. Spring temperatures being what they are in that part of the world, whilst he would have liked to face his subject directly, he had to take refuge in his car (due to the aforementioned thin legs). The idea was to document every day in that spring, and that he did. 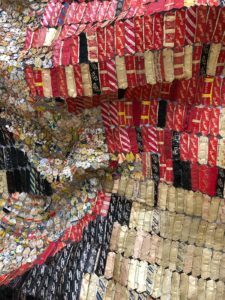 The exhibition collates those pictures with the most impact, and it has to be said that they are stunning. Ridiculous that it costs nothing to see these fabulous artworks! These images were created (I am wondering whether one can still say “painted”) using Hockney’s iPad and a bog-standard app; the limitations of the medium are very obvious as soon as you get anywhere near the prints. It doesn’t matter, though! Move back a bit; unfocus the eyes if necessary; this is mastery. 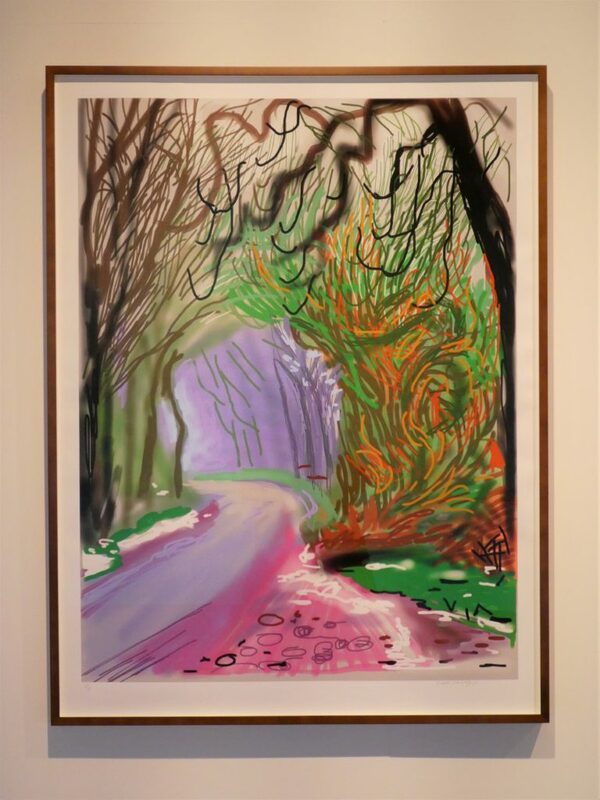 Hockney knows how to block colour, how to pull the gaze; it’s a masterclass in composition. This particular picture is so light and hopeful, the blossom on the bush appearing like lace in the gentle spring sunshine. Like all of these compositions, it’s best viewed at a certain distance; I include a detail here as support! It really was quite astonishing to see what he had managed to achieve with his iPad; I entered as a cynic, and came out a convert. 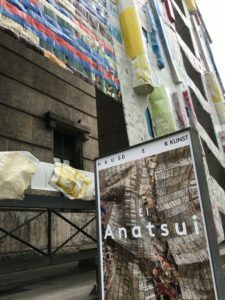 So much so that I persuaded my mother, who had come to see me in performance, that we should both stay over near the venue so that she could visit the exhibition the next day – so I saw it twice, once in louring rain, the next day in bright sunshine. Fabulous! 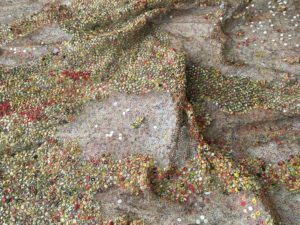 A multicoloured fairytale of a day, evidently! The site of the exhibition was also fascinating in itself; Salts Mill, in Saltaire, near Bradford, West Yorkshire. A massive building with a fascinating history (in short, the mill and the surrounding town of Saltaire was planned and built in the mid-nineteenth century by a textiles magnate by the (utterly magnificent) name of Sit Titus Salt. It was all designed as an antidote to the “dark, satanic mills” that constituted Bradford at the time. Saltaire is an immensely pleasant place even now; well worth a wander round if you happen to be nearby (it’s has been designated as a UNESCO World Heritage Centre. 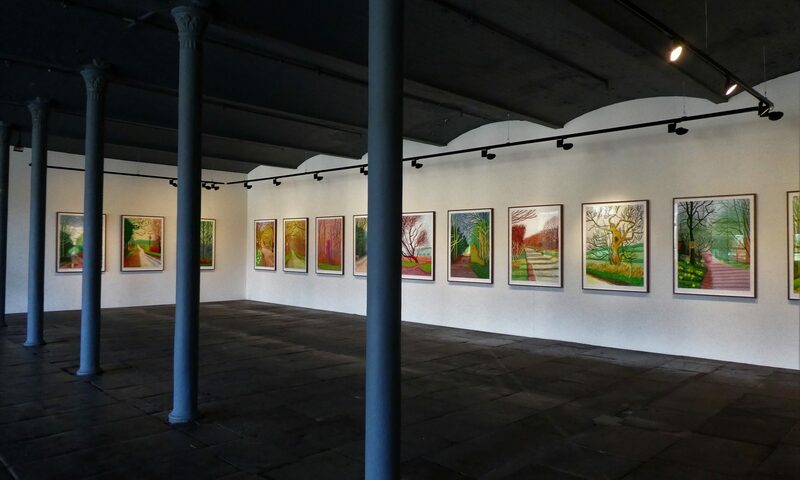 The massive spaces and iron pillars of the mill made it a very good fit for these particular paintings; Hockney is definitely not what you might call an effete aesthete. 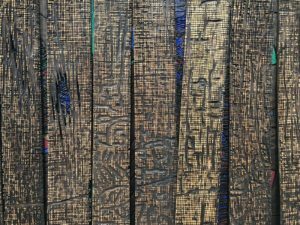 In fact, there is also a corner of this exhibition where you can sit and watch the drawings he made on his iPad as little messages to friends, pop up on three digital screens, and I had to laugh out loud a couple of times, not least at his stubborn pro-smoking missives. After we’d left the exhibition, she for the first time and I for the second, equally entranced, my mother and I headed to one of the cafés in Salts Mill for refreshment. 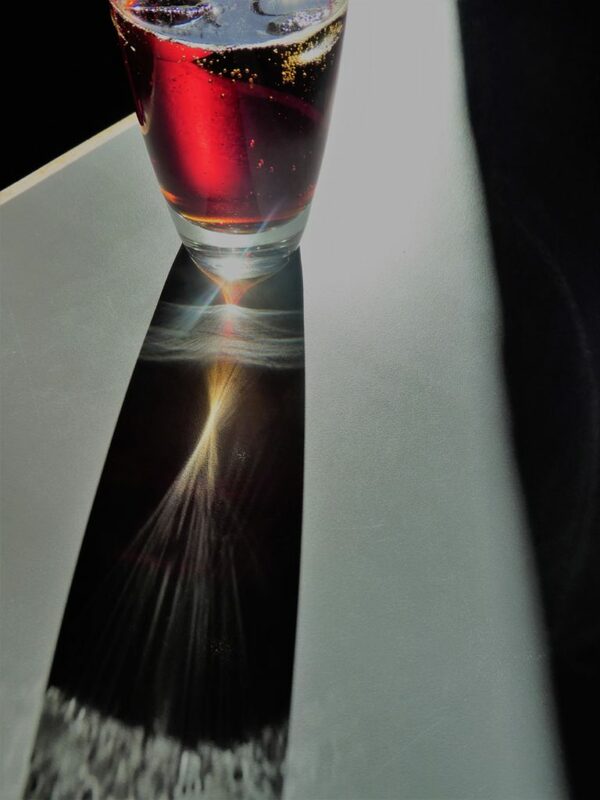 I ordered a dandelion and burdock (for those unfamiliar with the drink, explanation here) and proceeded to stare, fascinated, at the beautiful patterns the light made travelling through it, making the liquid glow deep red, with complex patterns caused by refraction in the glass patterning the table, and changing with every sip. I believe that one of the things that makes good art so worth chasing after and drinking in is the degree to which it sensitises you to the beauty all around you. Well, that’s my excuse – pretty certain the bloke at the next table thought I was a thoroughgoing weirdo, photographing my drink more than actually sipping it . 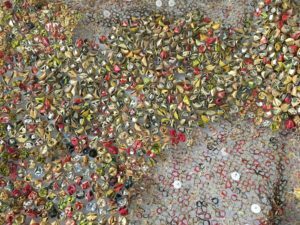 . .
Oh, and did I mention that it’s free to visit this exhibition? Free parking at the Mill, and Saltaire train station right across the road. Do make time to go if you happen to be nearby.